Open world games are all the rage this generation, especially now that online multiplayer is at a stage where it can be integrated seamlessly. 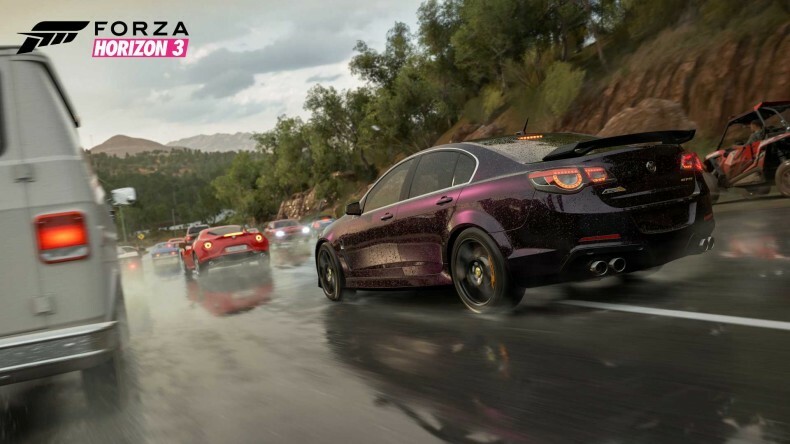 Forza Horizon 2 did a great job of creating a massive open world to drive around, but it was split into online and offline modes, and although Forza Horizon 3 offers that same mixture, it also allows other players into your own campaign for a more streamlined co-op experience. And what an experience it is. After the original set in Colorado and the sequel heading to Europe, it’s time for the Horizon festival to reach the shores of Australia, with all the colour and beauty that brings, and none of the worries about giant spiders that want to poison you to death. Race through lush rainforests, along the beautiful beaches of Surfer’s Paradise, or even around the outback, in some of the fastest and rarest cars available, or perhaps you’d be happy in a little Honda Civic or a Mazda RX-8? You’re the boss. No, really: you’re the boss this time around. You get to decide where the Horizon festival goes and how the events play out, thanks to the new blueprint system. Choose the number of laps, the time of day, weather, and which cars are eligible, then name your event to be shared online for others to enjoy. Forza Horizon 3 really is a game about customisation. From the moment you start the game, you can (finally!) choose your own character from a selection of men and women of various races, then make up your own licence plate before picking up the keys to your first car and diving into the game proper. The blueprint system even extends to the Bucket List challenges in Horizon 3, essentially allowing you to make up your own list of fantasy outings in your favourite cars. Playground Games has pulled out all the stops to make this game about you. Being the boss of the festival means managing its expansion too, which is where the new “fan score” comes into play. The better you do in races and events the more fans you’ll gain, boosting the festival’s popularity to the point that it needs to grow and spread across the country. 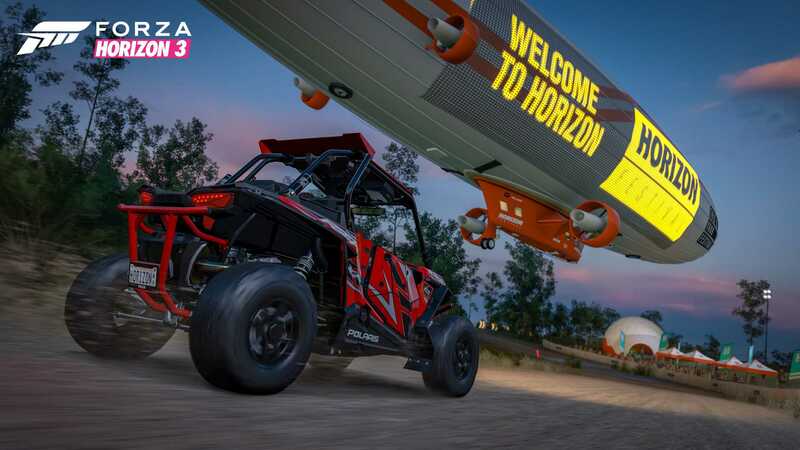 This essentially replaces the Road Trips of Horizon 2, as you’re no longer moving from festival to festival, instead you’re going to empty locations and building new festival sites. These can be levelled up as you gain more fans, unlocking more and more events for your driving pleasure. You’ll be guided in all of this by your assistant Keira, as you fumble your way through trying to run an entire festival, while you’re driving Lamborghinis off cliffs and chasing other racers around Australia. Keira acts as your tutorial, much like Sean Maguire’s Ben Miller character in the previous games, and she’s got real charisma. She needs it really, as she helps you deal with everything outside of the actual racing. You’ll need to hire other racers to help you earn a little extra in events, and they can even earn you more if those drivers are hired by other players. You can have four in your team at any one time, meaning that sometimes you’ll have to decide whether to fire someone in order to replace them with a better driver. And guess who has to do the actual firing? You guessed it, it’s Keira, and she will politely remind you of that every time you let someone go. These other drivers come in the form of Forza’s patented Drivatars, so you’ll be hiring and firing players from your own friends list. 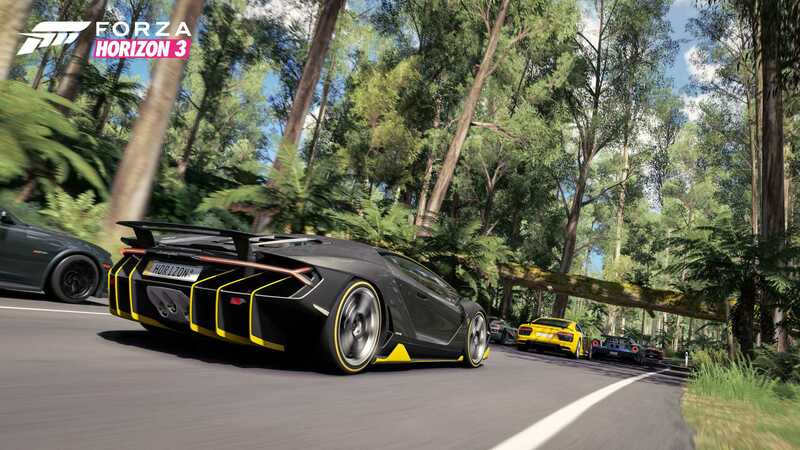 For the first time this will include people on PC too, thanks to Windows 10 and Microsoft’s commitment to bringing its first party titles to PC as well as Xbox, so there’s full cross-platform support in Forza Horizon 3. This means that there’s potential for an even deeper pool of Drivatars for the in-game AI to learn from in order to challenge you on (and off) the roads of Australia. This system has steadily improved since its introduction in Forza Motorsport 5, and although there aren’t many players around other than industry types and fellow reviewers, its quality is still there to see. Drivatars will protect the inside line through corners, some more aggressively than others due to their respective player’s racing style, or some will flatout barge into others on the track. Like Forza Motorsport 6 however, there’s an intelligence behind the scenes that limits the aggression of even the most violent of drivers, keeping things fair and balanced as you drive. The driving in Forza Horizon 3 is about as good as you’re ever going to see, quite frankly. The handling can be tailored to suit any level of racer, from total beginner and onwards, and every car feels different. The Holden Maloo Ute (basically a V8 pickup truck, star of a full Australian racing series) is a little on the heavy side and its power will light the rear tyres up in a heartbeat if you’re not careful, sliding the back end out and causing a spin if you aren’t quick to catch it; whereas something like a Mitsubishi Evo will have a little more stability due to its all-wheel drive, meaning there’s less chance of spinning due to accelerating too fast out of a corner. 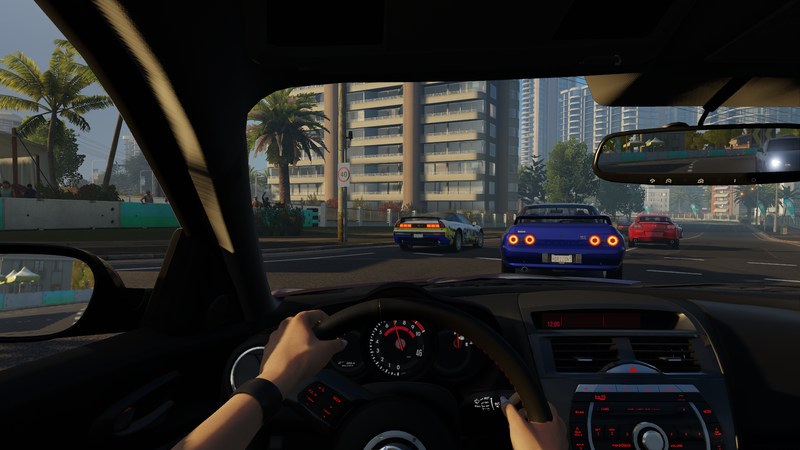 Unlike its track-based cousin, Forza Horizon 3 has a slightly lighter feel to the handling, so it feels a little more on the arcade side sometimes, similar to Project Gotham Racing but with a bit more realism, which helps it appeal to a much wider audience than the more sim-based Motorsport series. This doesn’t mean there’s any less quality in any area of the Horizon series, and this third outing is easily the best yet. Horizon 2 was a stunner and had so much content that it would take months to see everything, and that’s before you consider the DLC, and Horizon 3 is no different. Aside from the painstakingly detailed cars, of which there are over 350, the sheer number of events and collectibles is staggering. There are returning events such as the bucket list challenges mentioned earlier, not to mention speed traps and the obvious races, but there are new additions too. 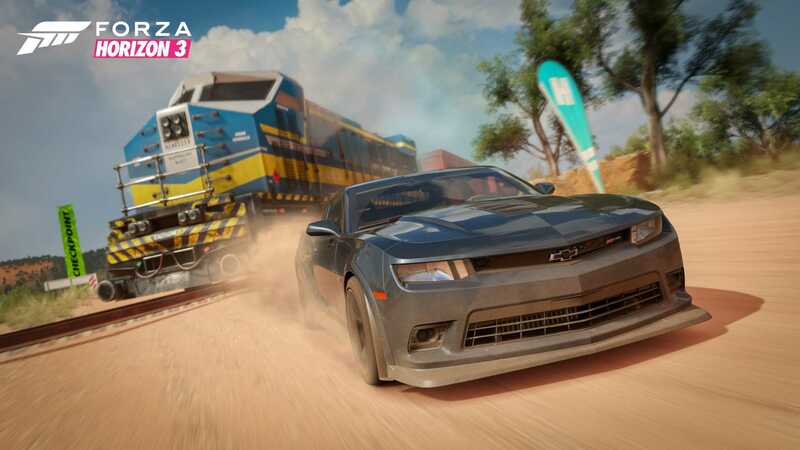 Illegal street races (strictly forbidden by the Horizon festival of course, which Keira quickly points out) take place on open roads and offer big rewards, alongside things like Danger Jumps that are the equivalent of GTA’s stunt jumps. You can still challenge random drivers to impromptu races too, but this time you can build up a convoy of racers and create a full race, rather than just one-on-one competitions. It’s great fun, essentially recreating the feeling of Horizon 2’s Road Trips. Barn finds, a staple of the series, make a welcome return. Warren, the new mechanic for this game (and a bit of a stereotype, being a mad Aussie petrol head as his introduction instantly shows) will help you restore any of the old cars you find, as well as run the garage and all the car-related business in the game. This includes the Auction House, a place in which you can bid on other players’ cars in order to fill up your own garage, or even sell unwanted vehicles. This includes the rarer cars too, including the custom-tuned versions that can only be won through Prize Wheel spins when you level up. This is all done using in-game credits to avoid any messy situations, thankfully. Another staple of the Forza series, not just Horizon, is the visual quality on display in both the cars and environment. Forza Horizon 3 is an incredible achievement, with partially destructible scenery and dynamic weather, cars detailed down to the badges on the steering wheel, all set to a photo-realistic backdrop of beautiful Australian country in a game that never seems to drop below its targeted framerate of 30fps. Driving around as the sun rises, rain beginning to fall, turning the asphalt dark and coating it in slick water, or plunging into rainforests and jungles at high speed, scattering leaves and dirt before you splash through a stream, showering the windscreen, the game engine doesn’t even break a sweat. There are no pauses as the game streams; there are barely any load screens at all aside from the initial load (quite long, it has to be said) and short sequences when setting up a race event. It’s nothing short of witchcraft, if you ask me. Which you probably didn’t. Where it does fall a little short is in the multiplayer side of things, but that can all depend on whether you play with friends or randoms. The new Online Adventure is nice, pitting you against others in a series of races chosen via a vote, offering a nice little extra as you race to the event location for bonus XP. It essentially removes the dull wait of lobbies and lets you get to grips with your chosen car before the real racing begins. Unfortunately, the car rating system is still a bit unbalanced, sometimes pitting more standard sports cars against supercars or beefed-up V8 monsters, despite being in the same car class. This can be frustrating as you’re either watching others disappearing into the distance or you’re speeding into an unbeatable lead, all because of the cars people had in their garage at the time, and you can’t even change your car until after the current series of races has ended. That said, every player earns experience after a race, and how much depends on the skills you racked up during the event. It does soften the blow a bit and encourages people to stick at it, especially as you’ll likely receive much more XP than in solo events. Forza Horizon 3 is quite possibly the best racer of this generation so far, and definitely the best open-world racer by quite some distance, thanks to its accessible handling model and abundance of content. It’s a technical marvel, showcasing just what the Xbox One is capable of, and it makes you wonder what Playground Games could do with the power of next year’s upgraded Scorpio console. For now though, the developer will just have to be content with creating the prettiest and most fun racer available on current console models. Forza Horizon 3 is close to racing perfection, with stunning visuals, great Drivatar AI and enough content to keep you busy for months.